I know what you are thinking: Chinese Laundries? Please free your mind and have a look, this was one of my biggest reading pleasures of late and a very intriguing and informative read. 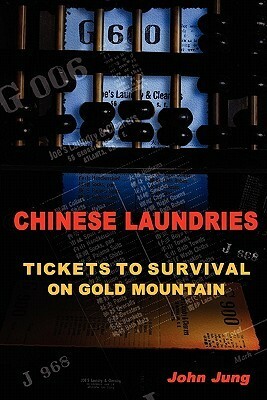 I found “Chinese Laundries: Tickets to Survival on Gold Mountain” by John Jung on Indietribe, an independent writer’s website and was intrigued by the title that suggested a subject way off the beaten track. I was not prepared for the ease with which I was able to read this academic study of Chinese Laundries in the US. 1/4 of the book is a biliography, bearing witness to the vast amount of knowledge the author possesses and how much research he has done to give credibility to his account. From casual to concrete discrimination, indirect legal victimisation and tax laws to statistic, tables and photographs – a huge amount of details is given and documented. Individual accounts of the workers and owners of laundries lend a great personal touch to the hardship, tragedies and persistence that these people endured. Despite the often sad stories and the description of inhumane and intolerant treatment this book is by no account a tale of self-pity and pointing the finger. The facts are described objectively and it accentuated the survival spirit of these people rather than their role as victims. After all, they are survivors. How did you come to writing for yourself and not just for academia in the first place? As a psychology professor for 40 years, my writing and research was quite different from the work in Chinese American history, which I discovered only after I retired. 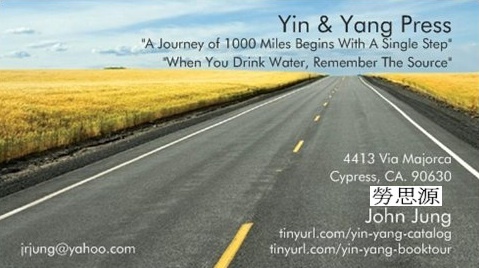 My initial goal was to write only one book, a memoir about what it was like for my parents, immigrants from China in the 1920s, to live in the Deep South during days of Jim Crow laws operating a laundry and raising a family where we were the only Chinese in town. In the course of writing “Southern Fried Rice: Life in A Chinese Laundry in the Deep South,” I did much background research and discovered many fascinating, as well as often disturbing, aspects of the history of Chinese immigrants in America. I had not known the extent to which the early Chinese were in the laundry business, an occupation that was one of the few that they were allowed to enter due to racial discrimination. By the time I finished writing my memoir, I realized that I needed to write a second book, one that dealt with more than our own family laundry but one that examined the role of the “Chinese laundry” on the fate of thousands of Chinese all across the country. What was your connection or special interest in the Chinese laundries? Since I literally grew up and worked in our family Chinese laundry in Georgia during the 1940s and early 50s, I had first-hand knowledge of what is involved in operating this kind of business. My father also had abut a dozen male relatives in the South, all who were in the laundry business. I suppose this fact should have been surprising to me, but as a child, I never questioned why. I was not ‘ashamed,’ but neither was I ‘proud’ of our laundry background. As a child I would have preferred it if we had a toy store or my father was a professional. After learning about the history of the reasons why so many Chinese ran laundries, I gained a newfound pride and admiration for the difficult lives and sacrifices that they made for their families, both in the U. S. and back in China. It motivated me to write the book as a tribute to them. As noted above, I realized the value of such a book during the writing of my memoir. I wanted to examine commonalities in the circumstances and experiences of Chinese laundrymen, and in many cases, their families. I recruited 8 other Chinese from different parts of the country who, like me, had grown up helping with the work in the laundries of their parents. I invited them to write narratives about their lives in the laundries. They wrote independently, not having access to what the others wrote to avoid biases, so it was all the more remarkable that their life experiences were so similar. That question is difficult to answer accurately since writing comes in spurts, with periods of intense concentrated writing interspersed with intervals of inactivity. I would guess that from the start to the completion was roughly 18 months, including editing and then going through the formatting for self-publication. I searched databases of historical research in journals and books by scholars, archives of historical newspapers, census records, and conducted sporadic interviews with laundrymen and their adult children. It was difficult at first, because the methods of laboratory controlled experiments so common in psychology and those common in history are totally different. As I read more work by historians, I gained more confidence although I didn’t expect to completely follow their approach because I wanted to combine my psychological perspective with historical information. Do you feel that racial and cultural relations have somewhat improved in the US? Do you feel that there is an imagined or real threat to the US from the new superpower China? Are there similarities between the present and the past? Definitely so, but there is always room for improvement because as conflicts develop among groups, irrational and hostile actions occur which can escalate quickly. Chinese, or for that matter, other ethnic minorities, can not be complacent because the historical evidence shows there are ups and downs in race relations over time. The present time is a good example because China has become a major economic and geopolitical threat in some respects to the United States. China is also guilty of many ethical transgressions in politics, government, business, etc. And. due to ”guilty by association” tendencies, American born Chinese, like myself, will suffer ill will directed toward China. Even though we American-born Chinese are “Americans,” we are viewed by some as if we were “Chinese” (a mistake that would never occur if I visited China where I would definitely be regarded as an American). I am a slave to using my computer in my home office where I can have access to all my books and files, and work comfortable without much distraction other than my dog who occasionally ‘demands’ my attention when he wants to play fetch. Thanks to him, I get needed breaks! Too many, and yet, not enough, I fear. It is sometimes shocking to reread what I have written a week later and discover that it is illogical, incoherent, or incomplete. This weakness is compounded when I look at a book length manuscript, as opposed to chapters or sections. There have been times when I finally realize that a different sequence of my chapters makes more sense. Then, if I re-sequence some chapters, I have to double chek that I haven’t inadvertently either repeated myself in different chapters or done the opposite where I assume I discussed some issue in an ‘earlier’ chapter but did not. I try to get several experienced and even a novice reader or two to read everything I write so they can give me their evaluation. I definitely could benefit from more professional editing than I have used in the past. Being your own editor is akin to being your own lawyer, which I think there is a saying that it is done only by fools. That is a difficult question to answer. Many excellent scholars have impressed me although many of them have only published one book thus far. The work of Judy Yung, Erika Lee, Mae Ngai, Jack Tchen, Madeline Hsu, Yong Chen, Sucheng Chan, Him Mark Lai, and Robert G. Lee are some that come readily to mind. What are your other books, past and future? Where can we find out about them? A fifth one, yet untitled, is in the works but, strictly speaking, it is not about history. Instead, it deals with the analysis of the process involved in the development, writing, and promotion of my four books on history. It is not a how-to book, but a journal of the experiences, good and bad, that I had in developing my retirement career.